Protective solution for nails and toenails, damaged by the effects of chemotherapy. Some of the molecules used in chemotherapy may have side-effects on the skin, hair and nails. Nails may break or even fall out which can make walking difficult when toenails are affected and gripping difficult when finger nails are affected. EVONAIL® was developed by EVOLIFE laboratories who have made it their mission to research and develop products to improve the quality of life for chemotherapy and radiotherapy patients. EVONAIL ® is a film-forming solution designed to protect nails from the damaging effects of cancer treatment. It has auto-modulatory properties thanks to Totum Lithium Strontium Manganese (naturally present in Evaux thermal spring water). This product helps nails that have been damaged by certain specific treatments to regrow and protects them from future damage. The product comes in a 12 ml glass bottle with brush applicator. The solution is very fluid to allow easy penetration and treats and protects both finger and toe nails. It’s completely transparent and non-shiny, so men can use it too without worrying. There’s no need to wear nail varnish, this product is all you need. The aesthetic and functional benefits of this product are confirmed by the many clinics and hospitals that now recommend its use. 12 ml glass bottle with brush applicator, enough for about 1 month’s use. Apply Evonail once a day as a preventive measure, during the period of treatment and for three months after treatment has ended. Contains sun protection from UVA/UVB. Apply morning and evening on and around the nails area with the brush applicator during chemo treatment. Keep using it for one month after the end of chemotherapy. Think to shake up the bottle before use. Make sure to remove nail polish before use. About 3 minutes to dry . You can remove Evonail twice every 2 weeks if needed. 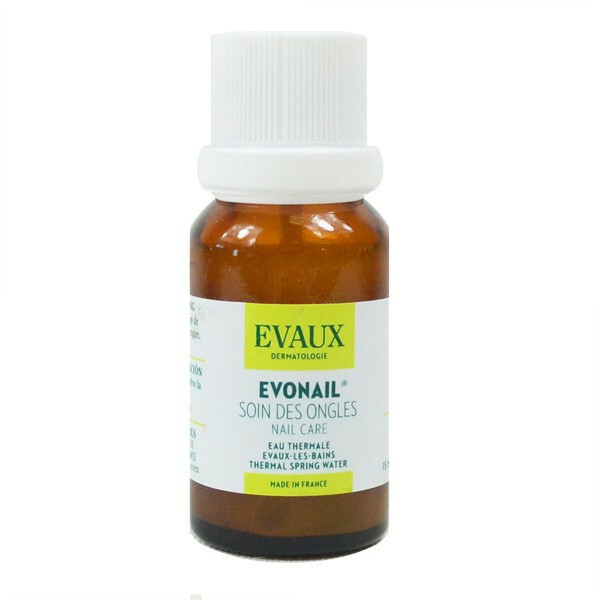 Do NOT use any solvent (nails are too fragile).To remove Evonail, use EVOSKIN cleanser in lukewarm water and soaking in your fingers.